Process Improvement. Business Process Analysis. What are they? Simply put, they are the art of looking at how your organization does its work today, and finding ways to make it better for you. This might include helping you do things faster, or with higher quality, or even by using fewer resources. Sometimes an organization’s processes are out of date because the business has grown or technology has changed and people are confused about roles and responsibilities. Often, processes have developed in isolation of the rest of the activities taking place in a business, and cause problems “downstream” in another part of the organization. This triggers a problem for you, the business leader, but you’re not sure what’s causing it or how to fix it. Or worse – someone THINKS they know what’s causing it, and they fix the wrong thing. While we are certified in a number of process improvement methodologies like Six Sigma, Appreciative Inquiry, Method Time Motion Studies, and others, we believe that each situation is unique and needs a flexible and customizable approach. That’s why we developed The Whiteboard Way© – it’s like your own personal process improvement toolbox! 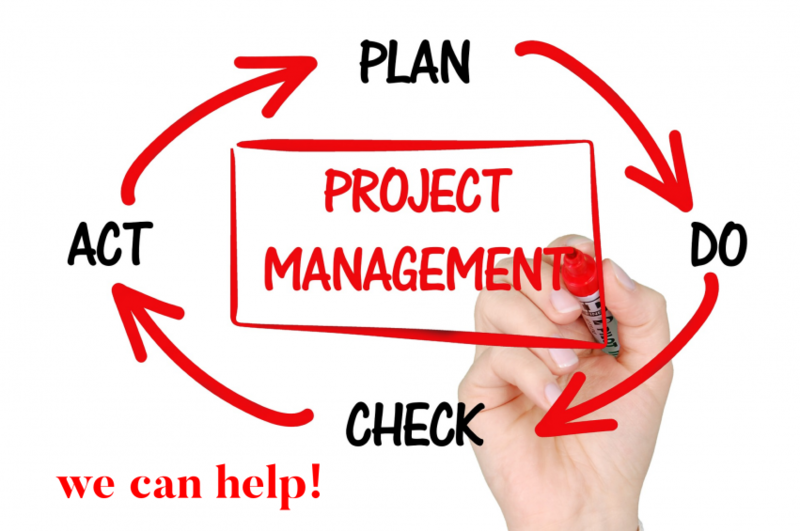 Project Management Doesn’t Have to Be a Pain in the Neck! If you are in business, then you’ve likely had to manage a project to do something. You may not have realized it at the time, but you were following a process to do the right things in the right order, to make sure that everyone who needed to know was aware of what was happening, and to make sure that any risks were planned for, so that the project could happen on time and on budget. No? You didn’t do that? You don’t know how to do that? Augment your project resources for smaller critical projects that require focus and time that your organization just doesn’t have available.